To make the most of travels you need to eat healthy and stay healthy. You might already be wanting to make this happen and have various hacks, see which ones in here have you missed, if at all. Happy travelling! Lima-France is An industry leader in developing and manufacturing food machines and the writer of this piece is a part of this amazing company. She thinks one must always be aware of maintaining good health while travelling to ensure you come back stress free and great spirits instead of consumed, strained and weaker. Here's a list of hacks she has. When we think of eating while travelling, usually fast food comes to mind. However, just because you are travelling does not mean you have to ruin weeks of effort maintaining your diet. Most of the time, the food available on the road are packed and rich in all kinds of substances that will leave you feeling tired, depleted, and bloated. 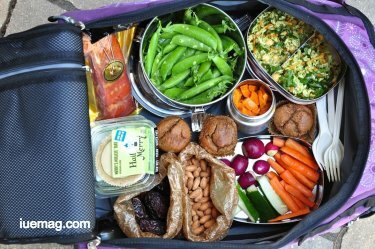 Eating healthy while travelling will help you relax and allow you to enjoy the journey to the fullest. It is common knowledge that healthy food and plenty of water maintain the energy level longer, assists in quick recovery, and fuels the muscles. 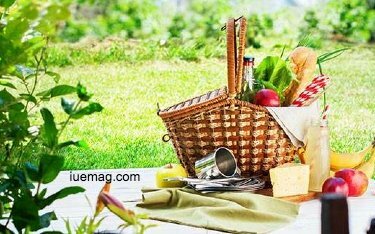 Below are are some healthy eating tips you can include in your diet while you are travelling on a vacation with friends and family. The foods available in restaurants use highly processed ingredients, which contain a high amount of unhealthy and trans fats. Homemade food is far healthier and tastes better; packing the next meal is a great strategy to help you cut down on the intake of junk food. In addition, rather than visiting a restaurant, you can look for grocery stores or supermarket and pick fruits, which is a great healthy substitute for junk food. I hope you understand the type of food I am suggesting. If not, you can choose from the list. We need water for every function in the body. While travelling, the body requires more water than usual because of the extra activity. So drink plenty of water as it helps your skin remain hydrated, flushes the toxins out of the body, and prevents overeating. While travelling, you may be exposed to the sun for long hours; drinking water helps avoid the symptoms of overexposure to the heat and sun. And surprisingly! 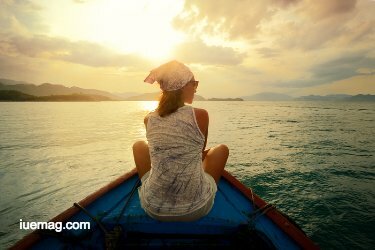 Water also helps avoid junk food craving and travel lag. Most fast foods are rich in carbohydrates, the companies making them have intended it that way so you can consume more. You see, carbohydrate digests faster, making you hungry again. Whereas, protein takes a long time to digest and will keep up full throughout the day. 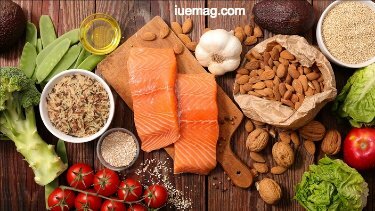 Choose healthy proteins such as salmon – it is one of the richest and among the few sources of Omega-3 fatty acids, fish, egg, and chicken. Mix these proteins with green leafy vegetables such as lettuce and you have a tasty protein-rich salad, which will keep you satisfied all day long. Eating frequently while travelling sends a signal to your brain that there is plenty of food available, so burning through the calories is ok. Eating too much in one sitting tells your brain that there might be leaner times ahead and the brain prepares the body for the situation by storing the calories in the form of fat. Additionally, eating a lot in one go can also make you bulkier. When travelling, we often substitute water with soft drinks or coffee as they contain huge amount of sugar. Instead, go for lemon water or mint water; they too contain some amount of sugar but are a much healthier option. If you have a sweet tooth? Do not worry! You can go for gelato; it is a low-fat ice-cream. Sometimes a lot of sugar is added to otherwise healthy food such as Chinese sauce, creamy yogurt, and cereals. You should watch out for these foods, as they are too much of temptation while you are travelling. Instead, opt for foods that contain natural sweeteners such as fruits and dairy products. Fruits and vegetables are essential for the body to function as they contain numerous vitamins and minerals. Reducing the amount of meat, you consume especially red meat can lower the blood pressure, reduce the chances of heart attack, and enrich your holistic health. Therefore, include fruits and veggies in the diet. Whole grains are highly beneficial to your health and the good news you can find them anywhere. Whole grains such as oats, quinoa, brown rice, wild rice, etc. can be found in any supermarket. Try to eat whole grains instead of refined carbohydrates such as white bread, cookies, and sugary cereals.After reading this article, we hope that you will make healthier food choices while travelling.